The integrity of academic programs must be honoured. No lowering of standards normally expected of students should be permitted and there should be as little interruption as possible in the instructional or supervisory support given to students. 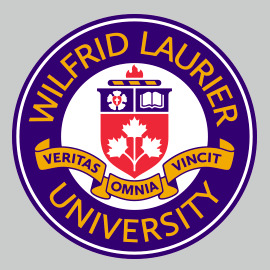 For the purpose of this policy, a Disruption occurs when academic activities are substantially interrupted or impeded as a result of an emergency as defined under the Emergency Response Policy (7.11), natural disasters, health emergencies, non-Wilfrid Laurier University labour disputes, or other like causes. The term "academic activity"; includes any work subject to evaluation or necessary for a student to meet the requirements of a course or program of study. A Disruption may be declared to affect one course, one program, one or more Departments or Faculties, one or more campuses, or the whole University. the impact of timing and sequence of evaluations such as examinations, practica, assignments and presentations, etc. Students must be treated in a fair manner recognizing their freedom of choice to attend class or not without penalty. Students who do not participate in academic activities because of a Disruption are entitled to immunity from penalty, to reasonable alternative access to materials covered in their absence, to reasonable extensions of deadlines and to such other remedy as Senate deems necessary and consistent with the principle of academic integrity. Remedies under this policy shall not alter the academic standards associated with the missed activity, nor shall it relieve the student of the responsibility for mastering materials covered. The availability of a remedy under this policy does not guarantee students the same learning experience that they would have received in the absence of a Disruption. Students, staff and faculty have a right to be informed in a timely manner of changed requirements, rescheduled academic activities, and procedures to be in effect at the conclusion of the Disruption. The Senate Executive Committee (SEC) is empowered to act on behalf of Senate to ensure, as much as possible, that the normal informational channels are alerted so that Senate policies and decisions will be reported widely and accurately. SEC shall post an appropriate notice to remind or notify students, staff, faculty, Faculty Councils, Unit Chairs and Co-ordinators, Deans and Associate Deans of their respective roles in giving effect to Senate policy and shall ensure that this information is disseminated speedily. SEC shall post a notice regarding the possibility of rescheduling normal academic activities following the conclusion of a Disruption. The Registrar use best efforts to inform and update relevant external bodies about the Disruption. University officers use best efforts to have externally imposed deadlines extended, especially where, for example, the lack of transcripts or the unavailability of letters of recommendation would impose a hardship on students. The University Librarian use best efforts to disseminate information about the impact of a Disruption on access to collections and services as early and as frequently as possible via print notices, messages on websites, and other means. Any changes in course procedures or deadlines be announced widely, including to the extent possible, on the University’s home webpage. The University provide, to the extent possible, a telephone information service to make known relevant information about academic activities. Where possible, Senate Executive Committee shall meet in person; however, in exigent circumstances a meeting by telephone or circulation of material electronically shall constitute an appropriate meeting. When a Disruption ends, the Senate Executive Committee shall declare so and shall give notice to students, faculty and staff of the procedures then in effect under this policy and report to Senate, within a reasonable period of time, all of its activities undertaken, as well as decisions made, on behalf of Senate during the Disruption. Disruptions of academic activities lasting no longer than seven consecutive days shall generally be considered short Disruptions and, where reasonably possible, will be governed by normal academic regulations. In the case of such brief Disruptions, individual faculty and Departments/Areas are in the best situation to determine, in the first instance, the extent to which their courses, seminars, graduate supervision, labs, practica, etc. have been affected by a Disruption and what remedial action is required. In the absence of the instructor, such changes in course procedures will be made by the Department Chair, Area Head, Co-ordinator or designate, in consultation with the Dean. If, in the opinion of a course instructor, remedial action ought to include rescheduling of missed contact hours (such as lectures, seminars, labs or practica) in order to preserve course integrity, in consultation with the Office of the Registrar and the course instructor’s Chair, Area Head, Co-ordinator or designate, he/she shall take actions consistent with the principles of academic integrity, fairness to students, and timely information as stated above. Where a Disruption has occurred and the Senate Executive Committee has been monitoring the situation at the outset of a Disruption, on the eighth consecutive day of a Disruption it shall receive a report from the Vice-President: Academic on the impact of the Disruption. If more than ten per cent of instructional time is lost in a term or session, the Senate Executive Committee shall presume the need for a modification of the teaching term with any concomitant changes in examination scheduling. The Senate Executive Committee shall oversee the process of directing and implementing the necessary remedial action in cases where substantial amounts of instructional time have been lost due to a long Disruption. Implementation of changes to the academic term will be coordinated through the Office of the Registrar in consultation with academic offices.